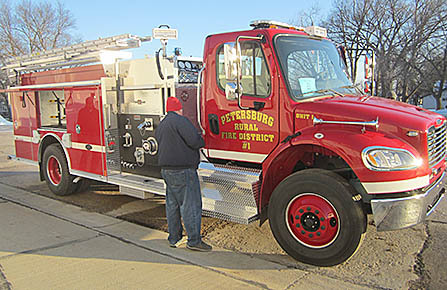 New pumper truck delivered to the Petersburg Volunteer Fire Department on Feb. 1. Petersburg Rural Fire District #2 Board recently purchased a new 2017 Freightliner diesel automatic transmission pumper truck, which was delivered Wednesday, Feb. 1. Tank capacity is 1,250 gallons. PSI capacity is 150, with a 1,260 gallon-per-minute pump, 1,250 gallons at open discharge. Cost was $244,800, and it replaces the 1999 pumper truck which will be repurposed within the department. The new truck will be used for structure fires. It is equipped with a foam injector used to control solvent fires, and has a hydraulic ladder rack. 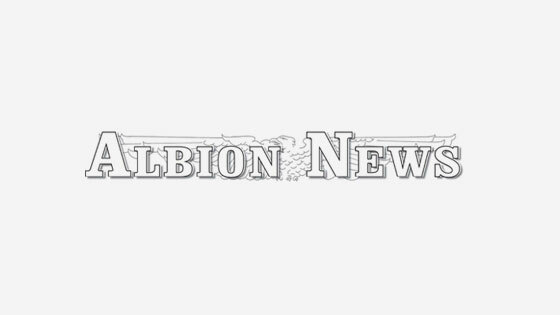 According to Fire Chief Baumgartner, the department plans to equip the truck with approximately $25,000 worth of needed equipment using funds from donations and the annual dance.